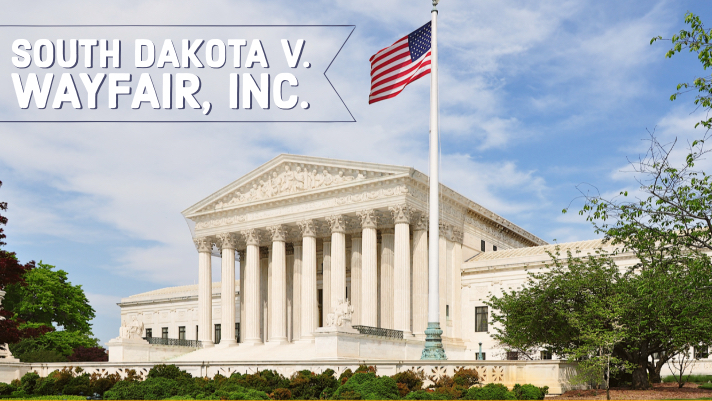 As we originally reported in our June 21, 2018 Special Alert℠, the U.S. Supreme Court recently ruled in South Dakota v. Wayfair, Inc., et al., that states can, in some circumstances, require a seller that does not have a physical presence in the state to collect sales tax on sales to buyers in the state and remit the taxes collected to the state. This decision has major implications for nonprofit organizations that sell items across state lines. Historically, physical presence has been the most common standard used by state governments to determine whether an entity is subject to a state’s sales tax collection and remittance requirements. The core element of the physical presence standard is that a seller must have some type of physical presence in a state in order for that state to be able to assert jurisdiction over the seller for purposes of requiring the seller to collect sales tax on sales to buyers in the state. Examples of physical presence could include having an office in the state, having employees based in the state, maintaining inventories in the state, or owning property in the state. As noted below, however, application of the physical presence standard by states has not been uniform. The physical presence standard was affirmed in a landmark 1992 Supreme Court case, Quill Corp. v. North Dakota, and thus has often been referred to as the Quill principle. In the 1992 case, the Supreme Court ruled that a business must have some in-state physical presence to be subject to collection responsibility for the state’s sales tax. However, this in-state physical presence standard was not clearly defined and state governments employed a variety of definitions in applying the standard. With the emergence of web-based commerce and large online retailers such as Amazon and Wayfair, a number of states, including South Dakota, began to challenge the physical presence standard affirmed by the Court in Quill. Through legislative or regulatory action, these states have asserted that physical presence is not required to establish “nexus” (a legal term for being subject to a state’s jurisdiction) for sales tax collection purposes. These states have asserted that a seller can establish nexus in other ways, such as by engaging in a large number of sales transactions with buyers in the state. This version of nexus is commonly referred to as “economic nexus” to distinguish it from nexus which is established based on some type of physical presence in a state. South Dakota’s sales tax law requires a seller to collect and remit sales tax if the seller’s South Dakota sales exceed $100,000 or if the seller has more than 200 separate sales transactions in South Dakota in a one-year period. Wayfair, a large online retailer that had no physical presence in South Dakota, challenged the law and the case made its way to the U.S. Supreme Court in 2018. As we originally reported in our June 21, 2018 Special Alert℠ (the day the decision was released), the U.S. Supreme Court held in a 5-4 decision that the physical presence standard for state tax jurisdiction is not a requirement under the Commerce Clause of the U.S. Constitution. Additionally, the majority of justices ruled that South Dakota’s economic thresholds of $100,000 of sales or 200 separate sales transactions in a one-year period satisfied the substantial nexus requirement with regard to the Commerce Clause. At present, state taxing authorities in many states are evaluating their laws to determine the implications to state sales tax collection and remittance requirements in light of the Wayfair decision. Some states have previously established an economic nexus standard for sales tax jurisdiction. The most common economic thresholds being used are $100,000 of sales or 200 transactions in a year, but certain states have higher or lower thresholds and a number of states are still in the process of establishing economic nexus thresholds. Even those states that are using the $100,000 sales or 200 transactions threshold have differing methods for implementing the threshold. For example, some states look at the previous or current calendar year sales, others apply the threshold to the prior four quarters, and still others apply the threshold to any 12-month period. As of the date of this writing, the lowest threshold for annual sales volume applied by any state is $10,000 and the lowest threshold for sales transactions (for states that have a sales transaction threshold) is 100. We are pleased to share a resource that summarizes the current state sales and use tax economic nexus statutes, which may be accessed here. This resource provides a high-level overview of the economic nexus thresholds and legal effective dates for states that have enacted economic nexus statutes. States not listed either (i) do not impose sales/use tax, or (ii) have not publicly announced if or when they will enforce economic nexus. The linked resource will be updated from time to time. Does the organization have a physical presence in the state or meet the state’s economic nexus thresholds? Given the complexity and variability of the factors that can apply, BMWL has developed a decision tree resource designed to assist nonprofit organizations in evaluating potential state sales tax collection and remittance requirements in light of the Wayfair decision. Click here to access the BMWL Sales Tax Nexus Decision Tree Resource. A nonprofit organization that determines it has sales tax collection and remittance requirements in a number of states, or that its sales are spread widely across the United States such that evaluation of potential sales tax collection and remittance requirements is burdensome, may wish to consider seeking technological solutions or professional assistance in evaluating and complying with the organization’s sales tax collection and remittance requirements. There are several software vendors that provide tax calculation solutions and include state and local tax rates for the entire U.S., which are updated on a monthly basis. Some of these vendors also provide tax return preparation software which allows for the generation of signature-ready tax returns. Organizations could also consider outsourcing the return preparation process. Additionally, if a nonprofit organization determines that it is subject to a state’s sales tax collection and remittance requirements, the nonprofit organization should consider (under the advice of legal and tax counsel) whether it is subject to other potential filing requirements in the state. Other filing requirements could potentially include the requirement to register to do business in a state, the requirement to apply for income tax exemption recognition in a state, etc. If you are a BMWL client and would like assistance addressing the information described in this Nonprofit Special Alert℠, we would be glad to help! It is our pleasure and privilege to serve you.